On one end, you have The Horrors of Spider Island (1960) and The Screaming Skull (1958), which have plots, acting and monsters so bad they’re good. On the other, you have a slew of Godzilla movies, which have sparked their own sub-genre despite their own struggles with plot and, of course, special effects. In fact, the ’50s and ’60s have an incredible library of veritable horrible horror films. That’s not to say that there weren’t any memorable movies coming out of the midcentury—Hitchcock is another topic for another day—but it does lend itself to supporting the boom in filmmaking by anyone, anytime and on any budget, regardless of actual quality. Skimpy spacesuits? Check. Space monsters? Check. 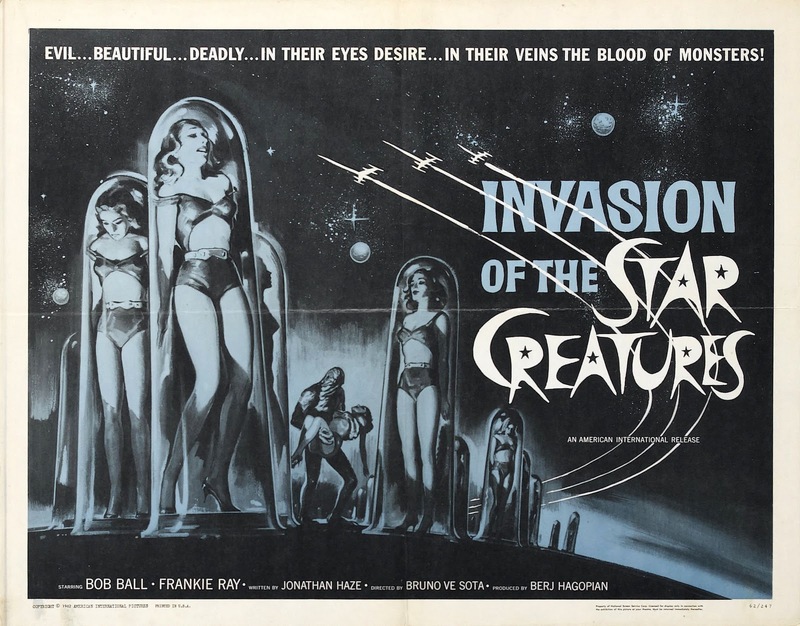 The best space-age film name ever? Jackpot. Don’t get me wrong. There is a simple joy I get from watching a man in a poorly constructed swamp-man suit chasing after bikini girls to the tune of a distinctly Beach Boys-esque soundtrack. It’s laughable one moment and oddly inspiring the next: The sheer creativity in the industry to come up with the slew of monsters and settings for these films is astounding. And kind of reminiscent of today’s film climate, if you think about it. So happy October, everyone! While you horror buffs enjoy the next prequel/sequel in your favorite bloody, jump-scare-filled franchise, I’ll be snuggling down with 1966’s The Wild World of Batwoman, courtesy of MST3K. Not for the plot or the scares but for the funky costumes, incredible dancing and that super stylish Eames lounge chair.